“Detailed Schedule Of Central Railway (CR) Timetable for local train in Mumbai with routes and individual station both in UP and DOWN directions. Please select the TO and FROM station from the below list to get complete and updated timetable details including details like time taken to travel between two stations of Central Railway.. Towards Kasara : Shahad, Ambivli, Titwala, Khadavli, Vashind, Asangaon, Atgaon, Khardi, and the last station Kasara. Towards Karjat, Khopili : Vithalwadi, Ulhasnagar, Ambernath, Badlapur, Vangani, Shelu, Neral, Bhivpuri, Karjat, Palasdhari, Kelavli, Dolavli, Lowjee and Last station here being Khopoli. Total 45 timetable scheduled for UP route of Central Railway in Mumbai region. : Trains going towards CST. 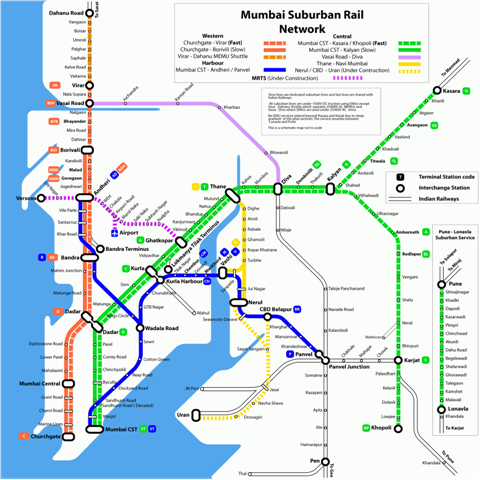 Total 43 timetable scheduled on DOWN route of Central Railway Mumbai Region. : Trains From Dadar / CST towards Karjat, Thane direction. Also for your information, You can now see your current train status via the newly developed National Train Enquiry System. 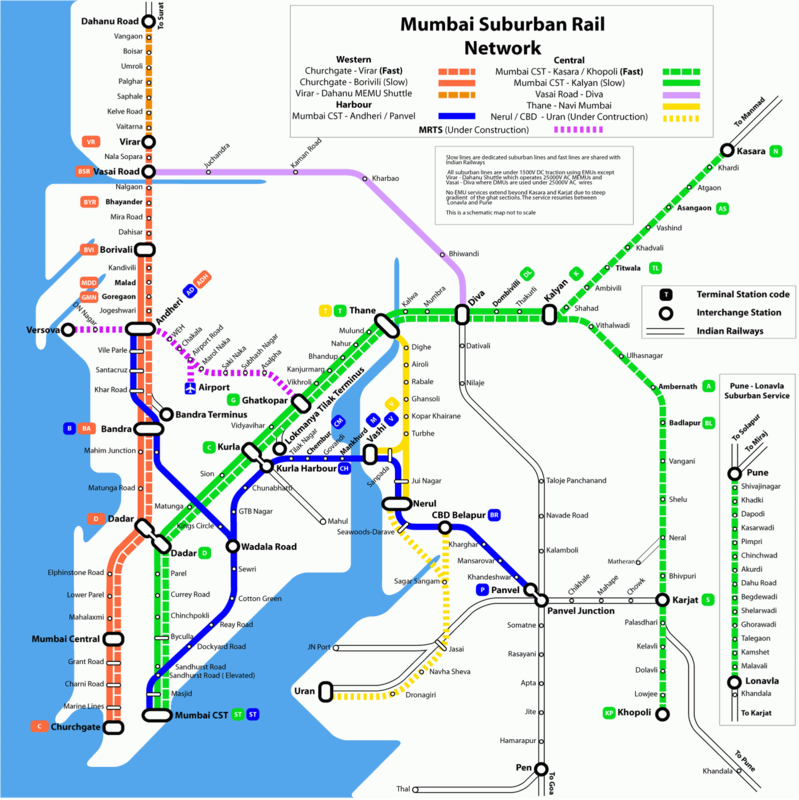 Also are details about Western and Harbour railway timetable with detailed Station Names.